Since last year, the Android platform has seen a string of sugary, feature-filled updates starting with Cupcake (v1.5), followed by Donut (v1.6) and finally ‰clair (v2.0/2.1) in November 2009. Each release has effectively addressed bugs and has introduced several new features like UI tweaks, Exchange support, HTML5 support and so on. Android v2.2 continues the tradition of the confectionary-themed nomenclature and is codenamed "Froyo"; short for Frozen Yogurt if you didn't know. The new features and improvements in Froyo aren't exactly groundbreaking by themselves, but in the grand scheme of things, they've made Android an extremely refined, usable and robust OS that is a real alternative to other mobile operating systems out today. Couple this with manufacturers like HTC churning out some seriously capable hardware and you've got the best version of Android to date. Read on for the full review! 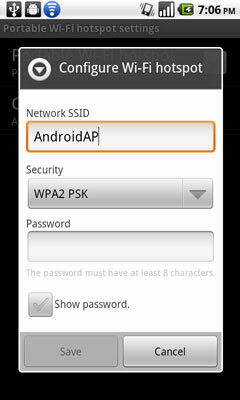 Android 2.2 isn't officially available on any device today. The only things floating around are leaked builds that aren't final. 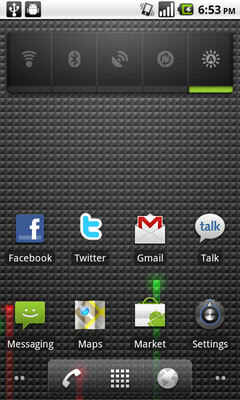 The closest you can get is the leaked Android 2.2 build available for the Google Nexus One on T-Mobile. It is feature complete and polished enough to upgrade as if it were final. 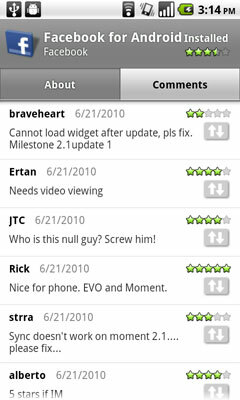 Even AT&T Nexus One users don't have a simple path to upgrading yet - without rooting. In the coming months we expect to see the major Android devices get 2.2 (e.g. 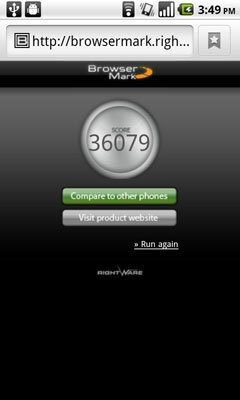 the Nexus One and the Motorola Droid) while towards the end of the year HTC userswill finally be able to jump on board. This staggered deployment is an unfortunate side effect of Google's Android customization strategy that allows handset vendors to ship with their own customized versions of the OS. While that's great for differentiation, it also means that there will be an inevitable delay between when a major OS revision is released and when it'll be implemented across the board. That being said, it is part of the Android appeal. We already have more than one smartphone device/OS vendor that favors the our way or the highway approach, we don't need another. Competitors don't compete by doing the exact same thing, they make us happy by giving us options or alternatives. With that said, let's get to what's new in Froyo. 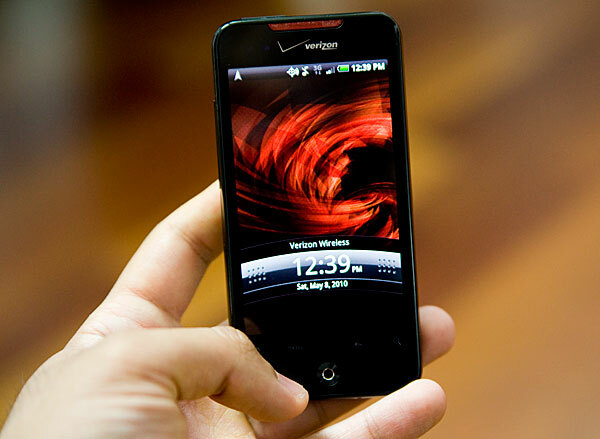 If you aren't familiar with Android, take a look at our Nexus One Review. The first thing you'll notice on the home screen is the new translucent navigation bar that lets you access the dialer, app tray and browser. The new UI is clean, crisp and helps distinguish Froyo from other versions of Android easily. Google's added two new widgets; the new helper widget provides handy tips to manage your home screen while the app market widget displays a slideshow of popular apps in the Android market. The Google search bar has undergone some modification and now lets you search the web, contacts or apps. The YouTube widget has been given a slight facelift and now shows previews of the most viewed videos. 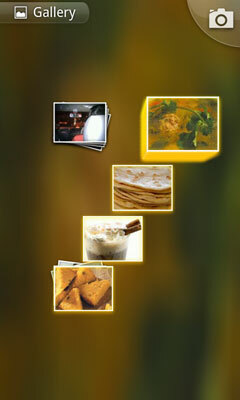 Froyo does not include any new wallpapers or sounds, so that's about it for the new stuff on the home screen. The settings page has undergone a few changes since v2.1; we now have a separate page for Display settings. 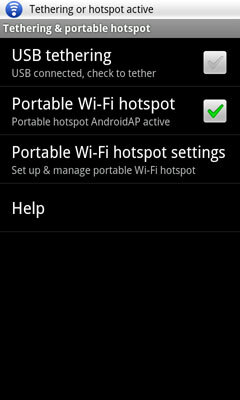 The Wireless & network settings page has been updated with the new USB tethering and Wireless Hotspot option. Froyo also supports toggling Data roaming to save you from those pesky roaming charges. Google has finally added a native task manager under the Applications page for those dire times when every megabyte counts. With the way that Android (and now iOS) multitask, it can help save battery life if you manually quit apps that you aren't using or planning to switch back to. Another nifty feature lets you back up application data on Google's servers, so the next time you reset your phone, your app data is preserved. Ultimately this is the next step in the evolution of cloud integration. We're pretty close to not really having to worry about setting up a new phone, just give it your account names and passwords and almost everything is pulled from the cloud. Google is trying to avoid the pitfalls of the PC experience, one of which was having to deal with the headaches of a reinstall. Developers have also been given the option to allow their apps to be moved from the internal storage to the SD card. A welcome change given that internal Flash is limited while SD cards are effectively unlimited. The caveat, however, is that this is a developer enabled feature only; so all apps don't automatically support it. 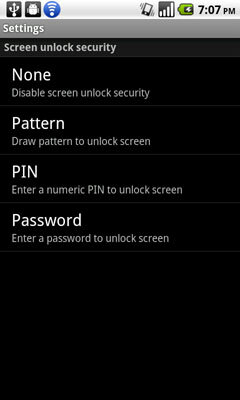 Finally, the screen lock feature has added support for using a PIN or a password for those who find the abstruse patterns hard to remember. For those who demand the simpler iOS experience, it looks like Google is trying to offer more of that as an option on Android. With Froyo, Google has paid special attention to try and have a consistent UI across the OS. While parts of the OS may still seem like an aberration (read: Settings, Dialer), Google has updated the Messaging and Google Talk interface with black text on white background, just like the Gmail app. The Car Home screen has been refreshed with a more traditional square button layout that's much easier to navigate. (Note: Device orientation works at a system level as opposed to the app level. So you have to enable automatic orientation under Display settings for landscape modes to work in apps like Car Home). The dialer app now supports sorting contacts by first name or last name and it lets your choose the order of display (First name, last name or vice versa). Finally, the call log has been updated to group together multiple calls from the same user, which can then be expanded to access individual call records. 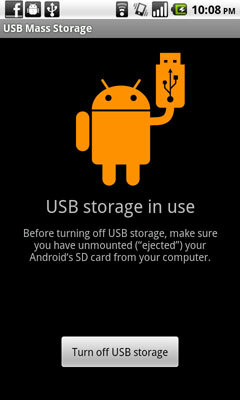 Another cool feature is when you connect the phone to a computer via USB; a friendly droid shows up with instructions about USB storage. Again, most of these enhancements aren't earth shattering, but they're a nice touch and create a much more holistic and non-ambiguous interface that users will certainly appreciate. The Gallery app now supports pinch-to-zoom gestures. When you pinch and zoom on an album, the pictures scroll across the screen giving you a preview of its contents. The order of the scrolling can be manipulated depending on how you pinch the screen. Google seems to have taken a page directly from Apple as the iPad has a similar feature in its Photos app. Although it's a nice addition to an already well-made app, its implementation is rather awkward and leaves much to be desired. 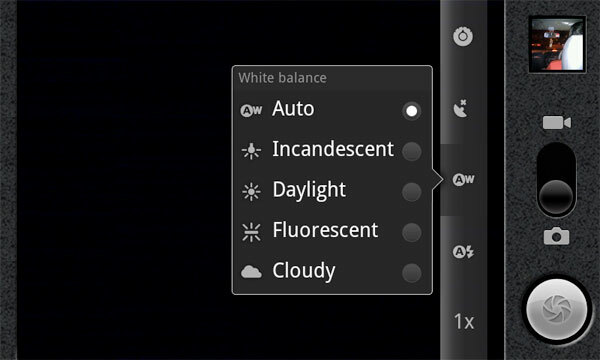 The Camera app now has on-screen controls for focus, exposure, geo-location, white balance, flash and zoom. All the controls are orientation aware (regardless of whether automatic orientation is enabled) and change smoothly when you switch modes. Compulsive photographers who'd like to have greater control while taking pictures will find this extremely handy. I found the new controls quite useful at times, especially for those quick shots where time is of the essence. 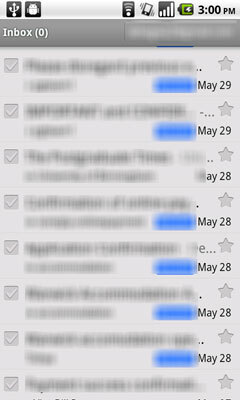 The Gmail app now supports fast account switching, thanks to a little button on the top right corner of the app. Google's also (finally!) added previous and next buttons to quickly scroll through threads. 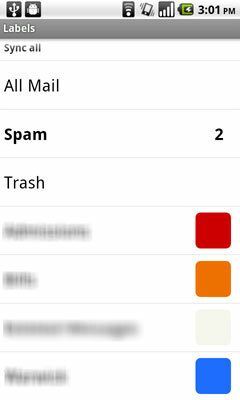 The app also adds support for colored labels and allows users to cut, copy and paste text from emails. Another handy addition is the ability to install .apk files directly from emails. Thanks to these new features, the Gmail app is vastly more usable in Froyo. The Market app at long last added the ability to update all installed apps simultaneously. The interface has now been tweaked to have two tabs, one for the description and the other for comments. 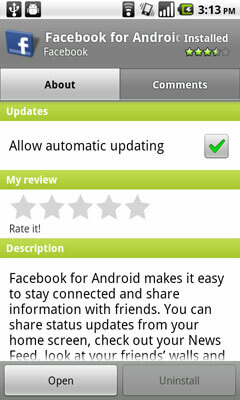 You can also set rules to automatically update apps whenever an update is made available. It's a great feature if you have a lot of apps installed on your phone and something that is still lacking from iOS. The YouTube app remains largely unchanged, except for that little HQ button that lets you toggle the video quality. While some have found the default video quality on v2.1 and v2.2 to be almost the same, but non-HQ clips seem to appear worse on Froyo. Adobe has taken much trashing from Apple lately due to inability of Flash to deliver a smooth user experience on mobile devices without sacrificing battery life. With Froyo, Adobe has teamed up with Google to prove them wrong. While Adobe's claim that 250 million mobile devices will be Flash-enabled by the end of 2012 seems a little far-fetched, the Nexus One and Froyo seemed to handle flash quite well. 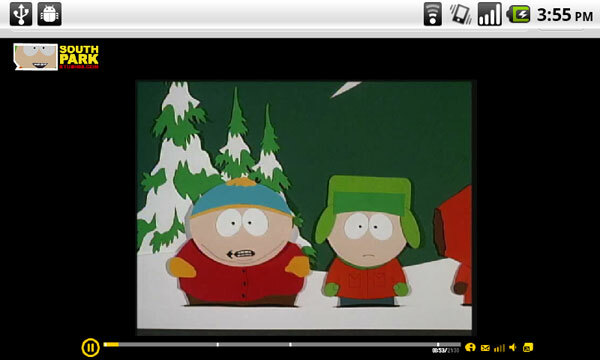 However, things did get a little choppy on some of the more intensive websites like South Park Studios, which then, invariably took a toll on the battery life too. 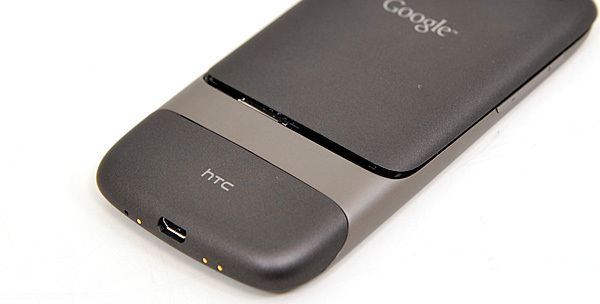 I'll be honest, a warm Nexus One is not fun to hold in your hands...at all. I believe this is one of the greatest additions to Froyo and an incredibly useful one at that. It allows you to share your phone's GPRS or 3G connections via Wi-Fi to other devices by turning the phone into a wireless access point. Although it only supports WPA2 at this point, the feature itself is a lifesaver when your internet service goes out (like right now, as I write this article). Thumbs up to Google for including this! Since I'm not important enough to have an exchange account, I haven't been able to test the new features like support for Exchange calendars and remote wipe. Well let's just say that Froyo is really fast, at least on paper. The new JIT compiler for the Dalvik VM is about 2-5x faster than the one used in ‰clair (v2.1) and CPU intensive code is executed much more efficiently. Memory management has also been improved and multitasking seems snappier. Basically, Froyo will not make your device run obscenely faster than before, but it will speed things up to the point where you'll definitely notice a difference. That being said, Froyo still lacks the overall smoothness and responsiveness of Apple's iOS. It still suffers from sporadic stuttering and choppy scrolling. Animations are generally smooth, but are still prone to occasional slowdowns (something that Apple has actually introduced with iOS4). The issue is acutely exacerbated while using Live Wallpapers; that's when phone feels really sluggish. In terms of raw numbers, Froyo's performance is hard to beat. The numbers speak for themselves; the Linpack benchmark shows a whopping 427% improvement from v2.1, while the BenchmarkPi and Sunspider tests post approximately a 140 - 150% boost in performance. Looks like the JIT compiler packs some serious under-the-hood optimizations. However, under normal usage scenarios, the performance delta isn't as noticeable as the numbers lead us to believe. While things are quite snappy overall, don't expect your phone to boot in 10 seconds. 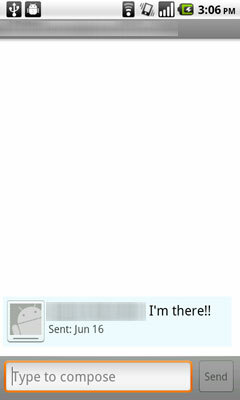 Although there are times when the Android's UI does seem inconsistent and clumsy. The Music player for instance definitely needs a better UI. Google Talk for instance, does not let you switch accounts; you can only sign in to the Google account used to set up the phone. So if you need to use multiple accounts, you'll have to turn to Meebo or other similar apps. 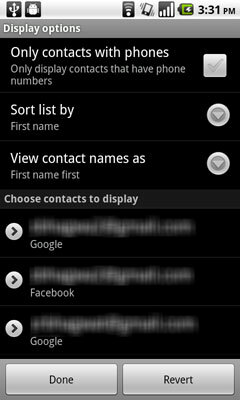 The favorites section of the dialer only arranges contacts alphabetically, there's no way to customize the order of that list. While nagging, these issues can be easily fixed via a software update. The keyboard in Froyo is still a disappointment, but this is largely attributable to the responsiveness of the screens being used in many Android devices. One of the main reasons why navigating the iPhone is a pleasure is because of the incongruously more accurate and responsive capacitive display. It will be interesting to see how the keyboard performs when paired with a display that matches the iPhone's caliber. When oh when will you get to have some Froyo dear Incredible? But, Android as a platform suffers from some outstanding issues as well. First and foremost is platform fragmentation. Froyo is the 4th update to Android in the past year, but hardly any devices (with the exception of the Nexus One) are actually running on v2.2. The nature of the Android ecosystem is like a double-edged sword. While it allows handset manufacturers the leeway to design custom UIs and choose underlying hardware configurations to cater to a wide price band, it also makes adopting the latest updates that much harder. Therefore Google, as the promoter of the Android OS cannot guarantee a consistent user experience from one manufacturer to another. Once you bring tablets into the equation, you're looking at an even bigger mess. 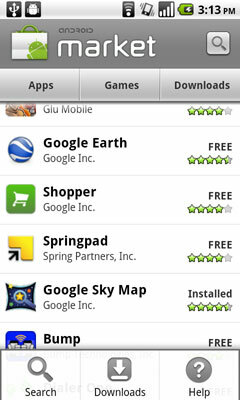 Google's partly addressed this issue by decoupling certain components of the OS and making them available as standalone downloads, such as Google Maps. In the long run though, Google needs to aggressively pursue this policy to at least bring about a semblance of a consistent user experience across its devices. Andy Rubin, Android's platform head recently announced that they would be adopting a, "one major release per year" cycle. This will allow Google and handset manufacturers some time to prepare their devices and upgrade their custom UIs, but more importantly, maintain a certain baseline user experience that can be guaranteed to all users. I'm sure Google will address a lot of these issues in the upcoming releases, but till that time, Froyo makes the case for the Android platform as one of its best releases to date.